Okay, so let’s talk about The Ordinary. This new jungle of super cheap and advanced skincare can be a bit daunting but after a good read in a skincare forum on Facebook I managed to pick out a few gems. I love taking care of my skin but spending money on skincare is one of the things I like the least. I don’t feel like I get as much out of buying a new cleanser as I do if I buy a new lipstick or pretty piece of jewelry. 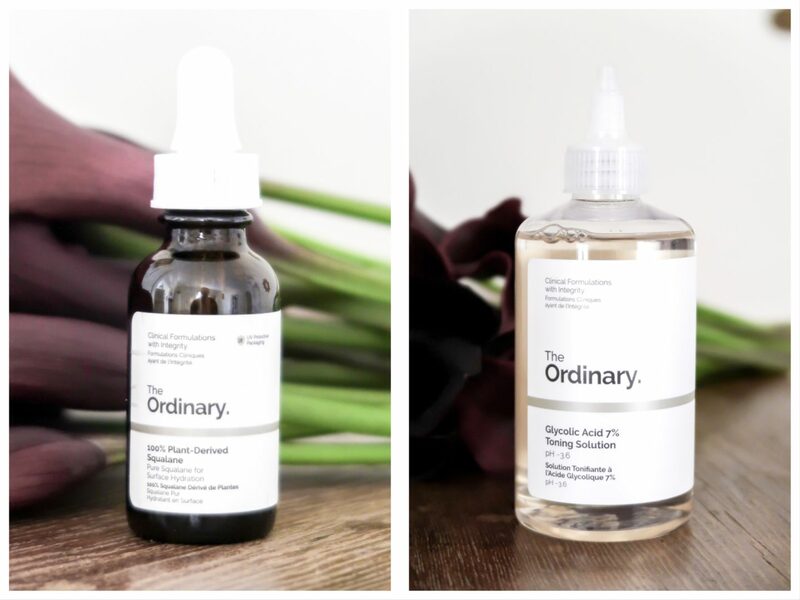 So that’s why I got super interested when I heard about The Ordinary. The products that I wanted to try the most where The Ordinary Hyaluronic Acid 2% + B5 and The Ordinary AHA 30% + BHA 2% Peeling Solution (aka the blood mask). The first is a hydrating serum filled with hyaluronic acid that is super hydrating! I love products with hyaluronic acid and this one is no different. The blood mask is a really concentrated acid mask that clears the skin and removes dead skin cells. Only use it for 7-10 minutes and then rinse off! I really need to say that I like them both! And the peeling solution made a big difference on Jonathans oily skin. It completely cleared out his pores and made the skin look smooth. Speaking about Jonathan. I bought The Ordinary Niacinamide 10% + Zink 1% for him which he now has tried for a few days and that really has helped calm down his acne and redness. And I can’t speak about acids without hearing my friend Fredrikas words in my head saying: “You need to use SPF50 for seven days after you use acids” and the look of dissaproval when I say I use the blood mask once every week instead of once every 2-3 weeks. So that’s something to think about if you doesn’t have a Fredrika at hand! 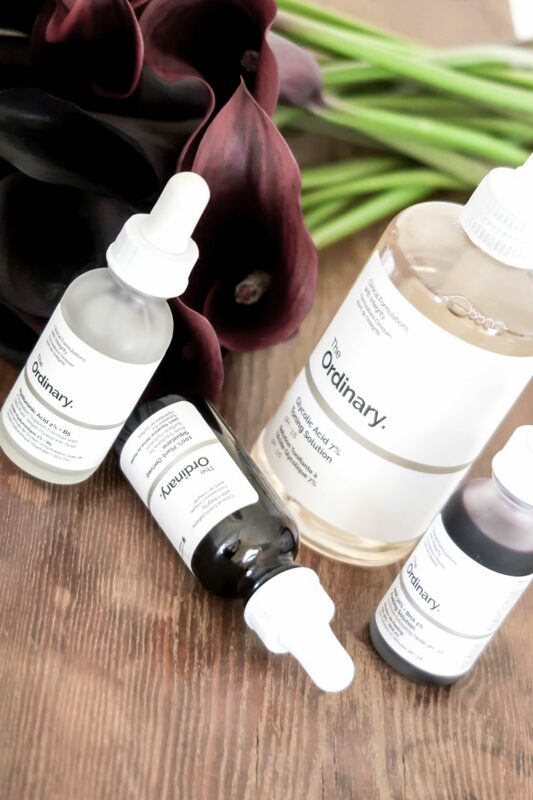 For myself I also tried The Ordinary 100% Plant Derived Squalane that is some kind of oil that isn’t an oil but still is an oil. (Google it!) I really just know that it feels super comforting, moisturizing and calming on my skin and gives a beautiful glow! Which is why I often mix it with my foundation for that extra dewyness. 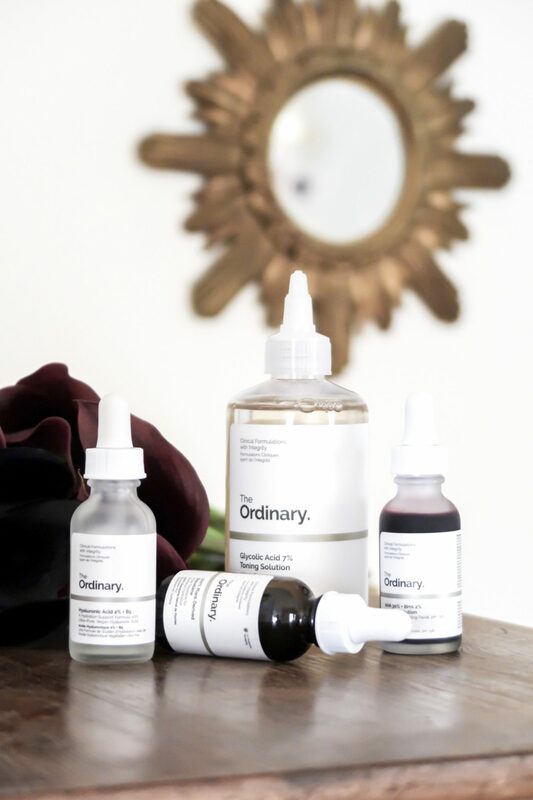 The newest addition to my The Ordinary collection is The Ordinary Glycolic Acid 7% Toning Solution. I’ve only tried it a handful of times but so far I really like it. It makes my skin feel smooth and fresh and feels like a light peeling to use during the weeks. Now to the product I didn’t like. 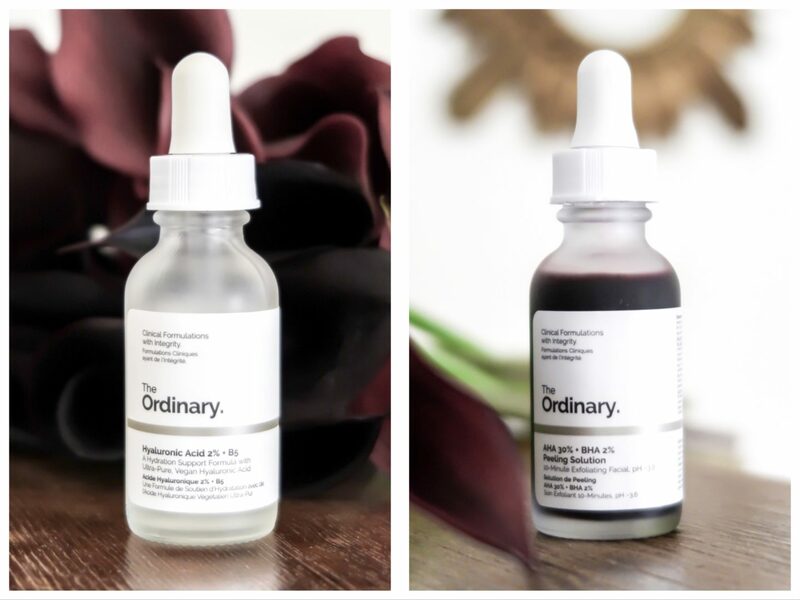 The Ordinary Lactic Acid 10% + HA. It gave me pimples every single time I used it. And I know this can be because it’s clearing out the skin but really, who’s got the time and energy for that? I who normally almost never have more than the one odd pimple can’t handle a skincare product that gives med pimples with every use. So this one is a miss for me. Hope you found this informative! Feel free to share any tips or tricks in the comments. Please let me know if I’m missing out on something!